Lodge History – Mount Vernon Lodge No. 219 A.F. & A.M.
Mount Vernon Lodge No. 219, A.F. & A.M. 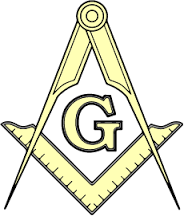 In the month of February 1960 a group of dedicated Masons met to lay plans and begin the task of meeting the requirements of the Grand Lodge of Virginia for a dispensation. Right Worshipful Charles E. Wallace spearheaded the effort. The name selected for the new Lodge was Mount Vernon Lodge. The name Mount Vernon was selected due to the significant ties of Mount Vernon to our departed Illustrious Worshipful Brother General George Washington. Of the original charter members twenty-four were members of Henry Knox Field Lodge No. 349 and the remainder were from various Lodges in the area. Brother John Thornton Thomas was the first member raised to the sublime degree of Master Mason in Mount Vernon Lodge (U.D.). The year 1961 began with an extremely heavy workload. By the time of the Grand Annual Communication of The Grand Lodge of Virginia, fourteen brethren had been passed to the degree of Fellowcraft and ten had been raised to the Sublime Degree of Master Mason. During the 183rd session of the Grand Lodge of Virginia the petition of Mount Vernon Lodge was approved and the charter was granted on February 15, 1961. The eighth stated communication of Mount Vernon Lodge was held on March 24, 1961, in the George Washington Masonic National Memorial. The Grand Lodge Officers assumed the stations of the Lodge and consecrated, dedicated and constituted Mount Vernon Lodge No. 219. The first stated communication in 1962 established a record of sixteen petitions being read and acted upon. On October 6, 1961 the Lodge voted to purchase the old Fire House for $50,000 for their Masonic Temple, located at 8717 Fort Hunt Road. The stated communication of April 2, 1969, saw the election of Worshipful Brother John H. King as the first recommendation from Mount Vernon Lodge for the office of District Deputy Grand Master for Masonic District No. 1, in 1970. This Lodge unanimously approved the proposal that Masonic District No. 1 be divided into two districts at the stated communication of August 5, 1970. On February 12, 1975, Most Worshipful Seymour Jonas Levy nominated Right Worshipful Charles Edward Wallace for the office of Grand Junior Deacon of the Grand Lodge of Virginia. He was elected and served as Grand Master of Masons in Virginia in 1980. A resolution was submitted to sell the property and /or lot the Lodge owned. On November 5, 1975, the Lodge members approved the sale of the property to Mecca Properties and referred the contract to an attorney to finalize. The property on Route 235 was sold for $45,000. On May 21, 1980, Most Worshipful Charles Edward Wallace, Grand Master of Masons in Virginia made an official visit to Mount Vernon Lodge No. 219, twenty years after serving as the Charter Worshipful Master of this Lodge. Many years ago the officers of Mount Vernon Lodge agreed to expand the influence of Freemasonry in the area once the membership reached two hundred. This has been done, not once or twice, but four times. The organizational efforts of John Blair Lodge No.187, Skidmore Daylight Lodge No.237, Archer Bailey Gay Lodge No. 275, and Dale City Lodge No. 319, were led by members of this Lodge.